Pep Guardiola saw his Manchester City side drop the first points of their Premier League title defence on Saturday but immediately attempted to strike a note of calm. 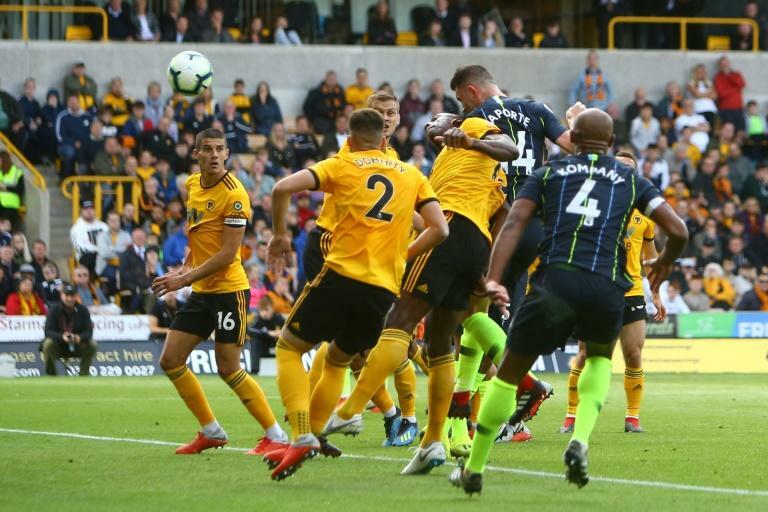 The City manager watched his team rescue a 1-1 draw at Molineux as Aymeric Laporte's first goal for the club cancelled out Willy Boly's controversial second-half opener for the newly-promoted team. Despite appearing to vent his frustration at the officials at the final whistle, Guardiola tried to project an air of serenity in his post-match press conference. Denying he had raised the game's most controversial moments with referee Martin Atkinson, Guardiola did his best to be philosophical about a match in which the home side exposed chinks in City's armour that will offer a glimmer of hope to the rest of the Premier League. City were good value for their point but they looked unusually vulnerable against Nuno Espirito Santo's well-drilled side. "We came to win the game like we did in the last month but we dropped two points or won one point and nothing will change after three Premier League games," said Guardiola. "It's a long road and we have to continue in that way. We created enough chances to win the game but it doesn't count and we drew the game 1-1 and I don't have too many regrets. "There was a little lack of rhythm sometimes but I am satisfied in general with the performance." Having stormed to the Premier League title last season and started the new campaign in impressive style with two wins in two matches, life has been plain sailing for much of the last 18 months for Guardiola. Of more concern, perhaps, was the lack of solidity in defence, where Vincent Kompany and Laporte at its heart looked far from assured as a partnership, and occasional signs of frustration after Boly had bundled the ball home with his arm. With John Stones left on the substitutes' bench, there were signs that Kompany's lack of pace and Laporte's lack of experience could be exposed, although the young Frenchman looked like a seasoned Premier League campaigner when he thundered home a header to give his side a point. That came in the 69th minute, 12 minutes after Boly had scored his controversial opener. Boly's goal should have been disallowed for either handball or offside and City momentarily lost their composure in the aftermath, with David Silva booked for disputing one of two non-awards of penalties by Atkinson. Yet Guardiola simply insisted: "I didn't see it. I'm not the referee. I didn't speak to him about that. I am not the referee and I never will be." For Wolves coach Nuno, a point was a welcome reward for a brave display of intense pressing and attacking intent, albeit his side rode their luck to claim their second draw of the season. 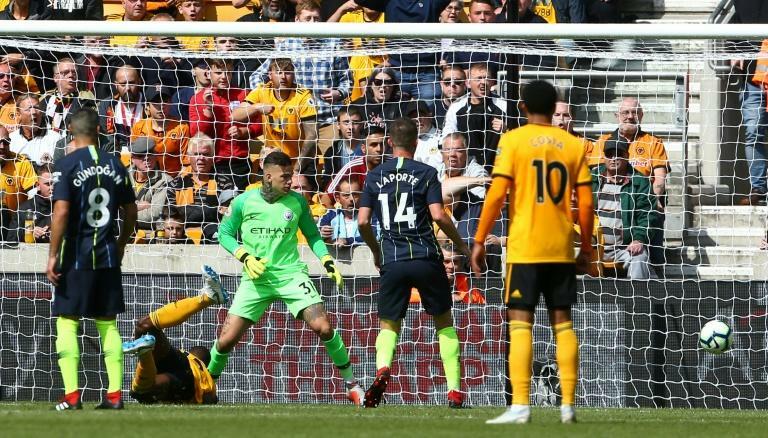 City struck the frame of the Wolves goal three times, including once with the help of a fabulous save from goalkeeper Rui Patricio. "It was a good game but after we scored we should have managed a couple of minutes better," said Nuno. "It's a growing process, one more to work on and improve for next week."